Elizabeth Zawadowski-McCanne began the study of piano at the age of seven in Milwaukee, Wisconsin where she debuted with an orchestra at the age of 14 and performed extensively. Among the numerous awards, she received a full scholarship to the National Music Camp in Interlochen, Michigan at age 14, and won the State and Regional Divisions of the National Federation of Music Clubs competition at age 17. She received both the Bachelor and Master of Music Degrees in Piano Performance (with distinction) from Indiana University in Bloomington, Indiana, while studying with the distinguished Hungarian Professor Gyorgy Sebok, and chamber music with Josef Gingold, Janos Starker, and William Primrose. She was a teaching assistant at I.U. for four years while in Indiana. Elizabeth has maintained a private studio in Pueblo since 1977, teaching all ages and all levels. Many of her students have received awards and many have become music educators, and above all, music lovers. Her passion has been the field of piano pedagogy. She has judged competitions and presented pedagogical topics and master classes for teacher and student groups. 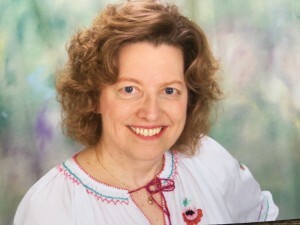 She was the President of the Southern Colorado Music Teachers’ Association for 10 years and has been a long-standing member of the Pikes Peak Music Teachers’ Association and Music Teachers’ National Association. In 2011, she has also taught at Pueblo Community College. She has been a regular performer for the American Music Society in Colorado Springs since 1996, and locally, she is a member of and performer for the MacDowell Club.